The Wood And The Trees. I still haven’t got my head around the Mazars review. Partly because it takes even me some time to read 254 pages of dense text packed with excruciatingly painful stories behind each digit in the statistical content, but mostly because – as NHSE and Sloven no doubt calculated, by releasing it at the very last gasp before Parliament rose for Christmas – most people, including me, have had one or two other things to occupy our minds for the last 10 days or so. ‘Parity of esteem’ there is not, even within lowly mental health services: 30% of working-age adult deaths were investigated, but only 1% Learning Disability deaths, and an even smaller proportion of deaths among people above retirement age. There needs to be a focus on Southern Health’s particular failings but, as noted by the MP for Stafford, the findings have implications for the wider Health Service in relation to mental health and learning disability services. The lack of family involvement was shocking. The full report cites families who were not merely ‘not involved’ but were actively excluded from investigations. I suspect that this is a function of power and control. The patients were not seen as real people with a context, but as mere ‘cases’, so their families could be readily dismissed; and this view also played to Southern Health’s narrative whereby the service was the sole repository of knowledge about the person and their condition, the sole possessor of wisdom as to how to manage them, and the sole wielder of the power to treat and cure. A Public Enquiry along the lines of the Francis enquiry is warranted, although “Fast action to change culture now” is also needed. The conclusions of the Francis enquiry, if implemented immediately at Southern Health, could do no harm and could potentially do much good. The scrutiny of Southern Health needs to be ‘intense & ongoing’. The Secretary of State placed an inappropriate emphasis on clinicians as the main actors in the present state of things at Southern. At the root of problems at Southern Health was a massive, protracted and embedded failure to manage. Facilitating whistleblowing by individuals is only a partial solution of the problem. It can make no difference until senior management & Boards are held to account for their response to problems. That the problem with inquests whereby interested public bodies are entitled to unlimited state funding, but the dead person’s relatives have personally to fund their relative’s representation, has been noted, with 2 MPs asking about it. The Secretary of State replied as though the crowdfunding was a matter of relatives’ choice or was to fund civil litigation for pecuniary compensation, but of course this was not true. Inquests are not non-adversarial proceedings in practice, whatever they may be in theory, and the question of funding for families at inquests should be put to the Secretary of State for Justice, Michael Gove. In turn, the unfair and invidious position of families at inquests raises wider questions about legal aid and access to justice. A system of independent medical examiners could do much to assist with transparency and openness. Oddly enough, the creator of probably the best-known fictional Medical Examiner, the author Patricia Cornwell, was on the radio in the week before Christmas, talking about how her Kay Scarpetta character, like the real ME who inspired her creation, views the bodies she examines as patients: real people who are just as entitled to proper care postmortem as they should have been in life. That there are questions to be asked of organisations beyond Southern Health about people’s care as patients, but also questions to be asked beyond the NHS about how to support people with mental ill-health or with learning disabilities to make a life. Alongside the Health Secretary and the Justice Secretary, the Secretary of State for Work and Pensions also needs to be put firmly on the spot, over the closure of the Independent Living Fund, the reduction of Employment and Support Allowance paid to people in the ‘Work Related Activity Group’ (that is, people who are unwell or disabled but have the potential to move towards work, with proper support), the reduction of support to Local Authorities which in turn has meant the cutting of social care budgets, and the forthcoming transfer of Attendance Allowance to local authorities, which is likely further to reduce the support available to older people. A dense and extensive forest of thorny problems, and just to add to the thickets of unpleasant underbrush, there is the matter of Winterbourne View and the Joint Improvement Programme, which seems to have died the death with no results. The number of people spending long periods of time in supposedly short-term Assessment and Treatment Units has reduced only marginally; around half of the current inmates are people who were also incarcerated a year ago. The biggest difference is that the average distance between home and place of stay has increased. There are many reasons to worry that the whole Mazars review could follow Winterbourne view into the long grass and the wilderness, even though, unlike at Sloven, at Winterbourne View nobody actually died as a result of the non-care and neglect. As I say, much of this got lost for a few days in the Christmas run-up. Lots to do, and we miss my Dad especially at this time of year. My parents were married just a few days before Christmas, so it was an extra-special festival in our family. Dad always did the cake, with his special home-made marzipan that is a million times nicer than anything that ever came out of a shop. 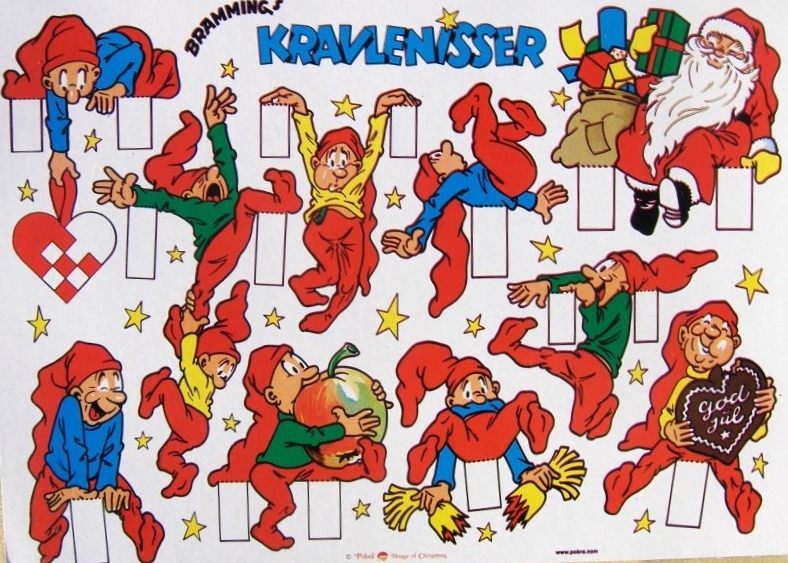 On Christmas Eve, after we went to bed, he would arrange some of Frederik Bramming’s cardboard Kravlenisser, which he and Mum had purchased in Denmark on the way back from a snowy Scandinavian honeymoon, on the curtain rails and picture frames. There they would sit, laughing at us and each other, for the full Twelve Days. Without Dad, it’s difficult. As it is for lots of people, whether because they have lost someone, or are alone, or are ill, or don’t celebrate for other reasons. It’s a time when it’s easy to feel excluded or overwhelmed. After she posted this, I sent Nico’s mother a picture of a tree decorated with sunflowers. It wasn’t ideal as Nico’s sunflower-tree, as it didn’t have all the right colours on it; but it was the best I could do in limited time. We were due to gather at my youngest brother’s house, on Christmas Day, and there had been much to-ing and fro-ing over the wires and airwaves about who was getting what for whom, whether we were buying presents for the adults or only for the kids, who was contributing which component of the food, and what the theme was for the present-wrapping this year. My sister is the queen of fabulous wrapping. Each year she takes a theme and wraps to suit. One year we all got parcels wrapped in brown paper and tied with buff raffia, with a trail of glitter-frosted ivy leaves wrapped around the string. Another year, she had paper printed with sleighs and big jingle bells on top of each present. The year my brother-in-law decorated the tree with peacock-feather baubles, she found silver bird tree-decorations to perch on the parcels and gave each one a peacock-eye tailfeather. This year, however, Youngest Uncle and his other half had outdone themselves by completing a tree each. Uncle’s, in the study/library, was all silver and crystal, with a few deep-red baubles as contrast, while his partner had gone for a multicoloured Victorian theme in the sitting room. I had found some Victorian-looking cream paper printed with holly leaves for the presents from us, while my sister had wrapped this year’s parcels in metallic paper, with crystal snowflakes dangling from sequinned yarn. Looking at the two contrasting trees, and with Nico’s sunflower tree still occupying one corner of my mind, I suddenly had a vision of a Justice Christmas Tree Festival. I am pretty certain is is taking place somewhere in Oxford, although I’m not sure of the exact location – I didn’t really notice the sign at the entrance because I was looking at the Justice Shed banner. It’s not a shed, anyway, it’s a big, stone-built hall, with narrow windows that allow the trees to be displayed against the walls. You might think it looks a bit like the Great Hall in the Harry Potter films. First to greet us at the entrance is the tree that inspired the occasion: Nico Reed’s. It is a blue spruce, decorated with, of course, wide-open sunflowers. Their petals are edged with gold and their centres brushed with bright copper. Copper-coloured tinsel winds round the branches, and between the sunflowers there are glittery pale-blue snowflakes as bright as Nico’s eyes, reflecting the pale blue and gold lights. At the top is the face of Nico himself, wearing his fur-trimmed red hat, a particularly beautiful nisse. Next to it, against the north wall, stands Connor’s dark-needled fir tree, hung with a traditional red-and-green theme of untraditional miniature London buses and big shamrocks. At the pinnacle, a huge multifaceted crystal casts rainbow splinters of light into every corner of the room, and showering down from it are many smaller drops of brilliance, each throwing out its own shards of colour, which intensify as the sun moves across the south windows, until all the out-of-the-way corners, for so long dark and unnoticed, are filled with light. The #JusticeforLB tree has ribbons in blue, yellow and red; and crowdsourced padded fabric bauble shapes, each one appliqué’d with a George-Julian-style embroidered quotation. In place of the fairy, a model of blind Justice flourishes her sword and scales. Christmas Tree Festivals are usually charity fundraising events, but I am not sure that charities have a place in this one (although that tree behind the door, with the dark-pink ribbons and shiny pink pigs, might belong to @Mishap_Charity). But this festival is really for individuals, not organisations. Steven Neary’s tree has metallic ornaments shaped like old-fashioned microphones and miniature EPs, with candy canes and brightly-coloured sweets all round them, and a cherry Bakewell in place of the star. Grenouille’s is almost monochrome: silver tinsel, a few dark-blue matt-metal baubles, and many dangling strips striped in pearled white, iridescent black and silver, representing chromosomal conditions. 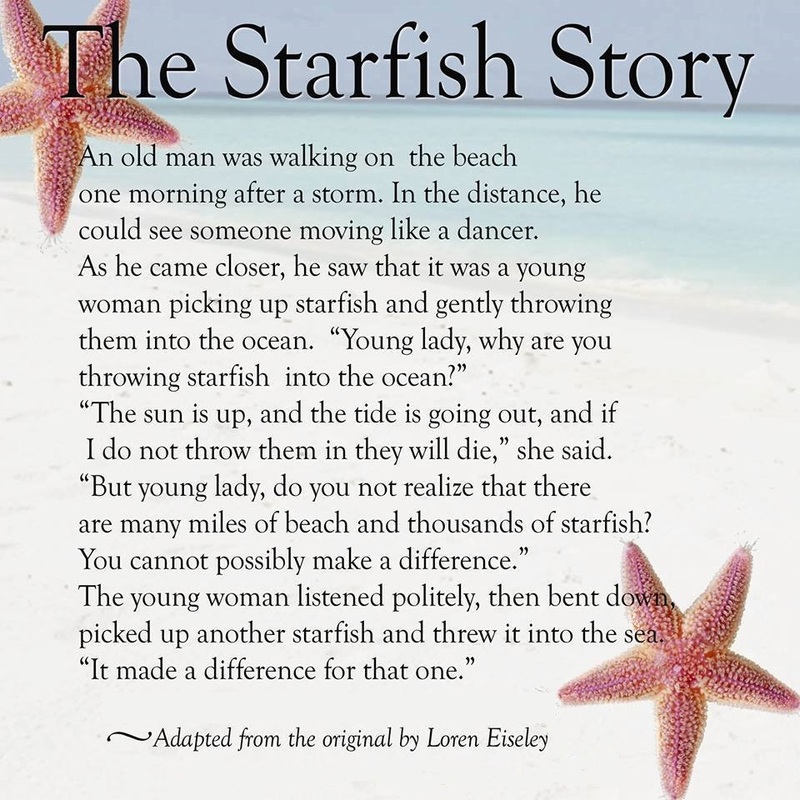 The star at the top is actually a starfish. Here is Ollie’s tree, hung with horseshoes and bright with bunches of glowing colour-change fibre-optic filaments. Here is Naomi’s, garlanded with cut-paper festoons and button-strings. In pride of place, at the far end, and two or three times as tall as all the other trees, is the #JusticeForAllTheDudes tree. You can’t really see what sort of tree it is, because is is covered, smothered, in – what else? – gingerbread people. By next year, here’s to being able to see our way out of the wood and admire the trees.